THIS TRUCK RUSS HAS BEEN DRIVING SO WE KNOCKED THE PRICE DOWN AND MADE IT AN INTERNET SPECIAL!!!!! CARFAX AVAILABLE NO ACCIDENTS!!!!! 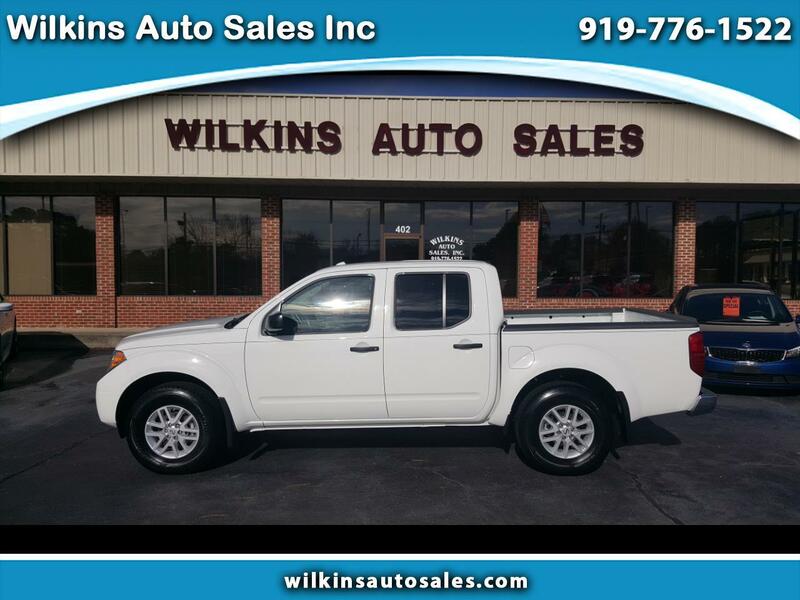 Here's a 2018 Nissan Frontier SV Crew Cab 4 WHEEL DRIVE with 11,000 miles for only 23,995.00. This Frontier is loaded with options here are just a few, keyless entry, back up camera, alloy wheels, power outside mirrors, audio controls on steering wheel, auxiliary and usb port, Bluetooth, AM FM CD STEREO SYSTEM WITH SATELLITE RADIO AVAILABLE, traction control, information center and much more!!!!! COME BY AND SEE RUSS OR JEFF TODAY OR CALL US @ 919-776-1522!!!! !